Frank Castle ia a man who has seen too much death in his life, first as a Delta Force Op and later as an FBI special agent. He has managed to beat considerable odds, and is finally moving out of the field and into a normal life with him wife, Maria, and young son, Will. However, on his final assignment, the operation spins out of control and a young man, Bobby Saint, is inadvertently killed. This places the FBI on the wrong side of Tampa businessman Howard Saint, his wife Livia, and their underworld ties. Inflamed by the death of their son, the Saints are on a mission of blood vengeance. Frank's worst nightmare comes true when Howard Saint and his lieutenants unleash hell at the Castle family reunion. But Castle, to his everlasting torment, survives. 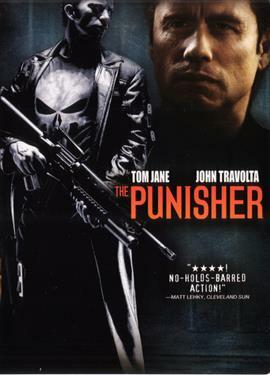 Now, Frank Castle--the Punisher--views the world as one darkened by war, crime, cruelty, and injustice. He has no superpowers to battle the evil he sees, only his fierce intelligence, his years of combat experience and, above all, his iron determination to avenge those wronged by society's villains.